The air was hot and muggy, the ground damp and soft. The sun beat down from the sky, blotted out in only a few spots. It was ultimately a fairly nice evening; although upon the horizon loomed dark ominous clouds that promised a savage storm. Enma was excited though, the storm was a was off, giving him plenty of time to train and work out a few kinks within his fighting style. After all, any training was beneficial training in one aspect or another. Today's agenda consisted of several different techniques he planned on mastering, the first and simplest, Jet Propulsion. It was a fairly simple concept really, condense the flame under ones feet and use it to propel in any direction. This was one of the few techniques that made Enma glad to be a Fire Bender. Sure air was best if one was concerned with flying, but other then that it was useless; a simple magicians trick. But Enma had not only the ability to, in a sense, fly but he also had the lethality of a warrior. Okay. . . The concept was simple, create a flame strong enough under ones foot, to allow for flight. Of course, the greater the flame, the greater the speed and capabilities. Enma began by placing his feet relatively close together. From there he cycled his inner flame in the same manner he would for a Flame Blade, except instead of creating a fine edged flame he worked it into a more explosive one. Slowly his feet began to shake, cutting into the earth below. The grass began to light, put out only by the dampness it already retained. The dirt and stone began to crack, paused by the sudden lift and momentum of the combustion of the flame. It launched Enma into the air, while Enma attempted to keep his concentration while also angling his feet correctly. If he exerted too much energy the flame would be unstable, yet not enough would cause him to plunge back into the ground. Initially he appeared fine, the flame seemed well within his control. Enma meant to test his control though; he twisted both ankles back slightly, redirecting the flame back, causing Enma's momentum to shift forward. The movement was fairly slow, but the flame itself was growing. In fact, it was growing at an alarming rate. Enma's speed began to pick up, throwing off his legs, and ultimately ceasing his control all together. The flame withered and died out, luckily at this point Enma was no more than six feet off the ground. The fall was swift and powerful, Enma had all he could do to spread his legs and catch himself with an extended arm. Well, he had the basics down, for now he would simply have to practice during combat, since his focus will be challenged even more so during an actual battle. Yet at the same time, adrenaline is an amazing tool, which Enma knew would benefit his use of Jet Propulsion during a fight. Description: Skilled Firebending masters are able to conjure huge amounts of flame to propel themselves at high speeds on the ground or through the air. If a person was to get caught in the after burner of the technique they will take a considerable amount of damage, it can also be used offensively because of this. Can only be used for two posts. The cold air had begun it's descent, it chilled Enma's body as the darkening clouds mover closer yet with each passing moment. Enma was becoming more and more eager with each second that passed, he was actually awaiting the storm. Enma may be a Fire Bender, but thunder storms and rain clouds made up his favorite weather conditions. However, training in it wouldn't be of much use; meaning it was time to commence with the training. The next technique? Fire Augmentation. Again it was simple, Enma needed to be able to control the intensity and overall lethality of not only his own flame, but any flame within his vicinity. He began by creating a small flame within his cupped palm. It was fairly average, burning a light orange throughout it's core. Enma wouldn't be content until not only could he control the intensity of his flame, but also of any other fire. But, every journey begins with a first step. Enma's first step was to control the flame he now held. The idea was simple enough, but was the application really that easy? 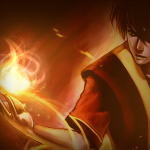 Enma had hoped so as he focused his attention as a whole onto the small blazing fire. The next step, to feed the flame. Enma did this in the most obvious fashion, he exerted more energy and intensity into his nearly clasped palm. The flame did grow, however it defeated the purpose of the technique if this was as simplistic as it really was. Enma knew that next he needed to cut off the intensity. Again, he did so by altering the amount of energy applied to the flame. It died down slowly, until there was but a small spark left flickering within his hand. Good, he thought, but this is only the first half. Now the technique needs to be applied to another flame. Enma fed the flame again, allowing it to grow again into a blazing fire ball. He twisted his hand forward and shot the ball into a large section of the ground. The grass was damp, and not easily promoted into flames, but with the heat being spread evenly, the outlined area burst into flames. This was his true test, success here meant the technique was well in hand. Failure. . . well, it meant a longer training session. Enma turned his full attention to the flaming grass, the flames spreading slowly across the ground. His concentration on the flame seemed to be working, as with each passing second the flame grew. It not only arose higher into the air, but it also spread across more land. Now, to end it. Enma concentrated again on the flame, holding back any flame within his presence was difficult, but it came rather naturally to Enma, as the flame slowly began to wither. It shrunk, until finally there was nothing but decaying grass and charred rock. With that, Enma decided that his training with the augmentation of fire was finished. The next one, well it seemed a bit more challenging. Description: Skilled and above Firebenders can also control the size and intensity of any nearby flames and can draw them in and manipulate them at will. The technique can easily be used to control nearby flames and strengthen it's power. The technique cannot be used to control flames in control by opponents as it is defined as 'their flames'. Enma's next task was rather more difficult than his last two had been. They simply revolved around the idea of augmenting and changing the nature of the flame. However, Fire Disk was to prove quite a bit more challenging. Even more so now that the violent winds had begun their approach, the crashing thunder wasn't far off and ultimately Enma was ready to begin. He figured it was best to take this technique step by step instead of blazing through the process like he'd done with the others. He began by placing his legs relatively far apart, giving him a wider base than normal. From there he placed both arms out to his left side. The idea was to create a disk made of flame between both hands. That was only the first step however, from there he would need to have enough control over the flame to launch it over six meters. He clasped his palms against each other, preparing to create his spark. His body was acting according to the minds will, twisting his inner flame throughout his body and finally into the arms. It took a moment, but the flame finally began to show itself. This was the simple part; Enma now began to separate his hands, allowing space between them for the disk to begin forming. It did so with ease, the small inner flame expanded for several feet, eventually becoming to big that Enma pulled his left hand back, leaving the flame disk in his right. 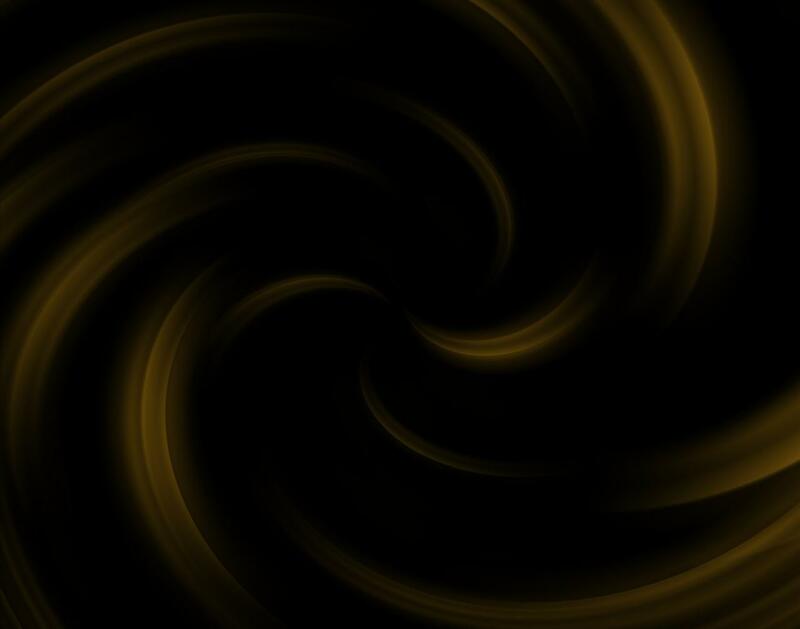 The flames spun around each other as if one flame chased the next in a constant circling motion. It was almost beautiful how they moved in perfect formation; after all Enma's training with the Sun Warriors had taught him this; Fire is more than death, it is beauty and life in one. Fire gives meaning. The meaning of this however, was death. The Fire Disk was created for no other reason than to cause serious harm if not certain death. Which, in today's age was probably a good thing. After all, Enma's life pursuit was to attain power. Power among all others, by any means necessary. Once the flame began to settle enough to where Enma could move it at will, he decided it was time to truly test his own will and strength. He spun his entire body around in, stopping only once he's turned an entire 360 degrees. Just as he stopped, he used the momentum provided by his body to whip his right arm forward with amazing intensity. The disk spun off, with one flame yet chasing another the disk cut through the air. It continued, blazing though the sky, fed by the incoming oxygen the flame actually grew in size, until finally, it reached it's target. Nearly six meters away was a lone tree, the flame impacted it with full strength. As it was only natural, fire triumphed earth and the disk sliced through the tree, dispersing only after it had cut fully through the solid wood. Finally, the Fire Disk training was concluded. Description: The user creates a whirling disk of flame and then launches it off at their desired target. The technique is considerably strong and has a great range. In truth, every up until this point was easy. Everything Enma knew was basic, nothing was actually complicated to point where Enma couldn't learn and master it with ease. However, this, this was something else entirely. It was a technique used and learned only by those truly deserving of such capabilities. This was something taught to Fire Lords, not measly weaklings. Enma planned to take full advantage of such a technique as well. Fire however, he needed concentrate on it's basic elemental idea. The Breath of Fire was rather more complicated than it may seem. A human, even a Bender doesn't have the ability to simply breathe fire like say, a dragon. No in fact, it was much more difficult. Enma would need to begin by way of trial and error, seeing as how he had no one to actually teach him this; and unlike the previous techniques, this one SHOULD be taught. Luckily, Enma was a quick study, and an even faster learner. With every intention of mastering this technique, Enma decided to begin. The storm had arrived, the water poured from the clouds as if the gods were weeping. The lightning crashed into the ground, creating massive tracks through the air.In Enma's mind this setting was beautiful, thought it;s not exactly what one finds useful when attempting Fire Bending of this level. Nonetheless, Enma commenced. His first act, taking a suitable stance. He widened his legs, lowered his body and kept his momentum slightly forward. His hope was that this would allow at least some mistake within the technique, without a serious backfire. Physical stance was step one, from there Enma needed to channel his inner flame throughout his body, primarily his lungs. This should give off the needed flame to fuel the fire breath. The flame words its way through out his chest cavity, resting in several spots before he managed to build up even a small spark within his body. Creating a flame within ones body was much harder than simply forming one outside. Then again, perhaps it was easier to simply form the flame within ones mouth. Though Enma figured that wouldn't give off quite the desired effect. Ultimately he figured that creating a flame in the mouth would cause less power than if he actually built of the heat and flame within his body. And so he continued to build pressure within his lungs, until finally it became almost unbearable. With what strength he could still muster and not collapse his lungs, Enma released the flame and all it's intensity. It burst up through his throat, roared out his mouth and spread violently as it expanded outward. It burnt everything for nearly two meters, charring the rock and cutting through dirt. The flame was hot enough to melt the earth itself, as the before Enma's eyes the rock began to melt into a molten substance. However, even with his concentration and willing of the flame, something was wrong. He had yet to see the desired effect. Two meters was a rather long ways, yet the ability of this technique was to expand the flame to nearly eight meters. Again. . . Enma wanted no mistakes within his techniques. He wanted no error to wither his chances within a battle. Perhaps, he considered, a flame not only within the lungs, but also in the mouth. Perhaps fueled by two different blazes the flame could work as one, creating the desired effect. Enma hoped so anyway. For his second attempt was about to begin. He again focused the flame within his lungs to expand, creating pressure until it was nearly too much. From there, he opened his mouth and began to charge a second flame. This one was quite large than the one within his body, it had more space to expand itself. However the pressure and intensity of the attack would come from the pressure already built up within his chest. Enma let out a large gasp, and with it expelled the flame. It met with the flame within his mouth, and both weaved into each other. Enma expanded his jaws to their entire length, and out flew the flame. This time it's heat and intensity were even greater. The flames rolled across the ground, moving over each other to reach greater lengths, until finally it had consumed nearly eight meters. For eight meters the earth charred until it reached it's melting point and began to liquify. Description: The Breath of Fire involves the user Firebending out of his or her mouth, mixing air from the lungs with the flame creating a wider, hotter blast. The power of the technique is stronger than it's weaker form(Fire Stream) and is considerably larger, capable of reaching much further distances.